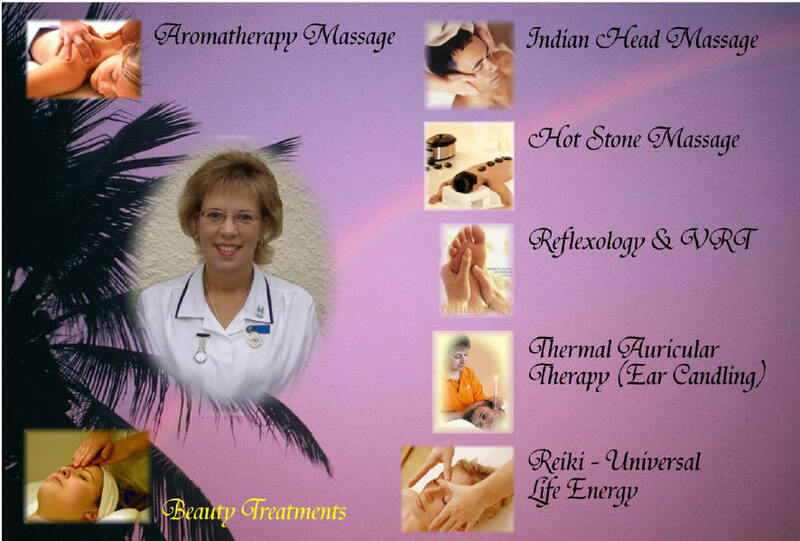 My name is Lyn and I practice Reflexology, Indian Head Massage and Thermal Auricular Therapy (Hopi Ear Candling) as well as other holistic treatments. I am VTCT & IIHHT Qualified and a member of CThA (Complementary Therapists Association), FHT & ITEC. I work from a purpose built treatment room at the address below in Portishead and can arrange appointments to suit you. I can also travel to clients houses if required. I am sure you, like my many other clients, will enjoy all of the treatments I provide and I look forward to seeing you soon. I am happy to provide client contacts for reference if you wish to talk with someone who I have treated.